For those who missed it, Mayfair Games, as of early February, has essentially been sold to Asmodee. One good discussion is on Boardgamegeek. 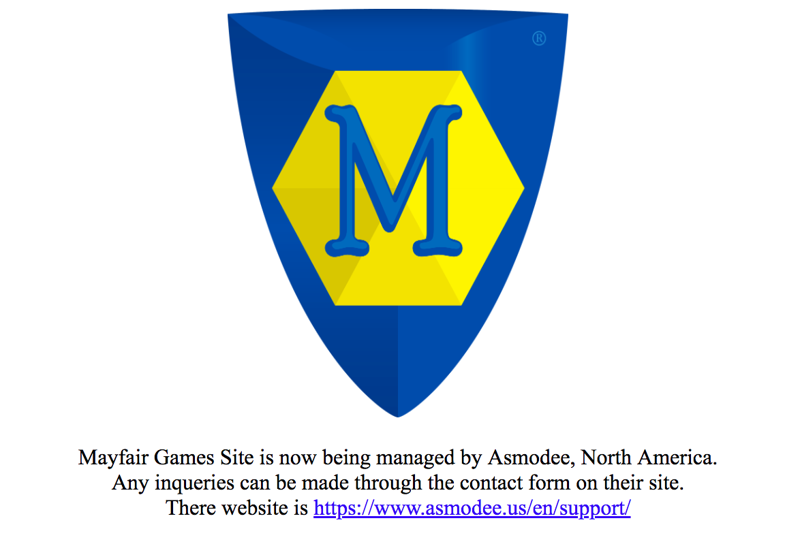 Mayfair Games Site [sic] is now being managed by Asmodee, North America. Any inqueries [sic] can be made through the contact form on their site. A disrespectfully brief and illiterate epitaph for a company that helped shape our hobby. Goodbye, Mayfair.